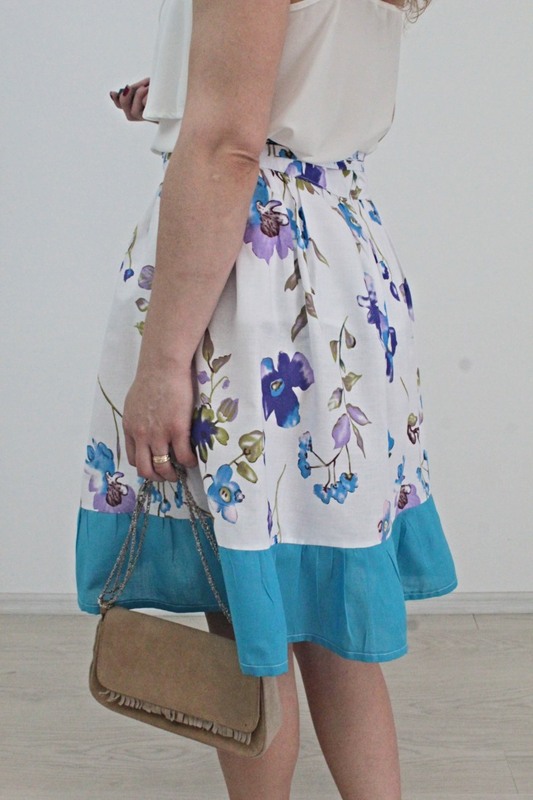 This simple tutorial is for a ruffled wrap skirt that is not only adorable and super comfortable to wear but crazy easy and quick to make too! 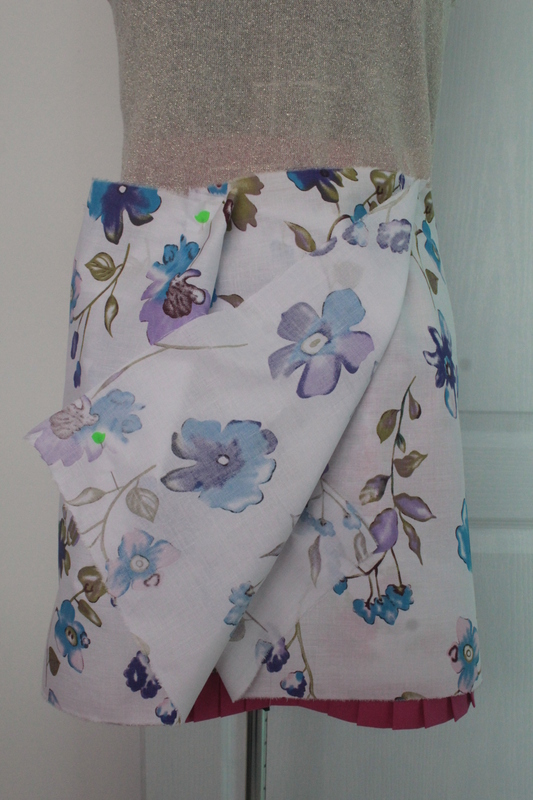 This lovely DIY wrap skirt is suitable for sewers of all levels! 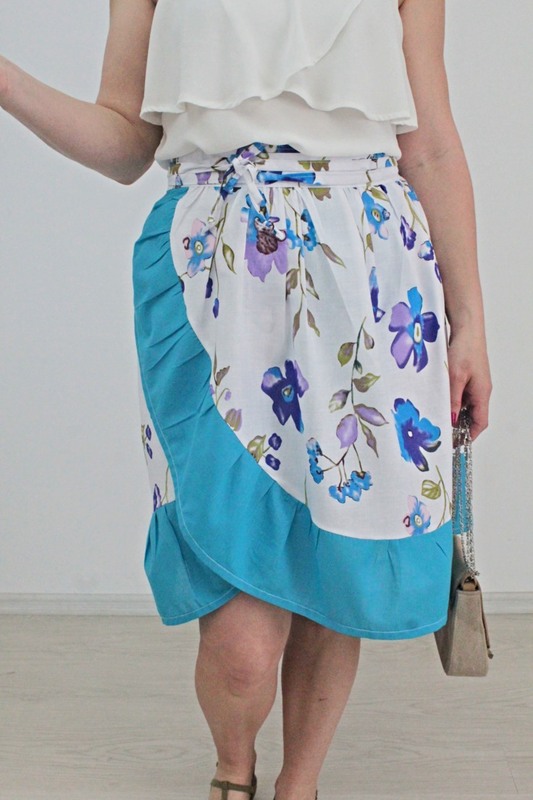 I absolutely love this ruffled wrap skirt because it’s so easily adjustable to any body size (and you can even make it for kids which will be a lot faster), quick to sew and doesn’t require complicated sewing skills! If you’re looking for ways to add to your spring and summer wardrobe without breaking the bank this wrap skirt is the perfect idea! My figure is a little on the full side lately (ok, maybe not that much but still, gaining a bit of weight, especially in the waistline is not a joy!). So a pretty voluminous skirt might seem like a crazy idea for someone in my shoes. And I admit I did not mean to make this ruffled wrap skirt as full as is but accidents happen and sometimes they’re happy accidents. I happen to love how my frill skirt turned out, in spite of the volume it adds in the mid area of my body. I think it looks super sweet paired with this white frilly top! It may seem like an unlikely pair but truth is, there’s so much sweetness going on this outfit makes you feel like a princess and gives you so much confidence boost! The best part about this project is that you don’t need an actual wrap skirt pattern, you get to make your own using your measurements. So your ruffled wrap skirt will fit you perfectly! It’s basically a large rectangular piece with a waistband and a ruffled hem that’s all! 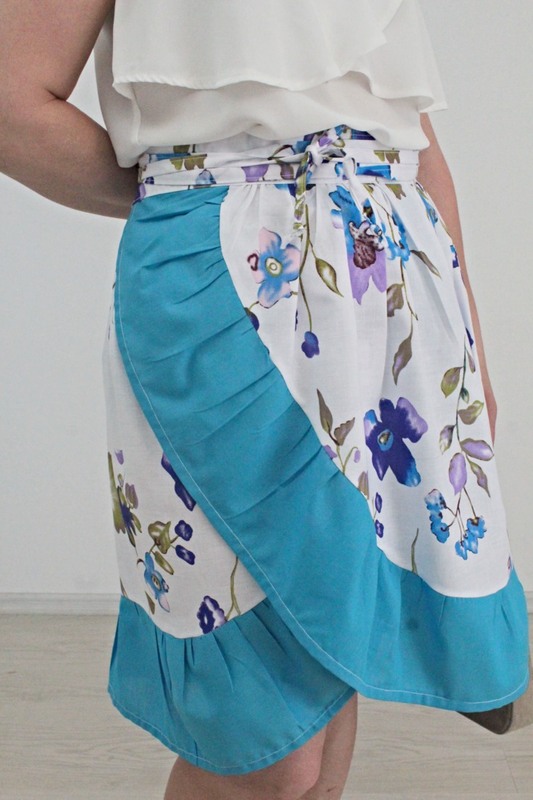 If you want to make your own, check out the simple wrap skirt tutorial below. I’m all about sweet patterns so it only made sense to use fabric with a floral print. I wanted the ruffle as a contrast and the focal point of this dress so I chose contrast fabric. 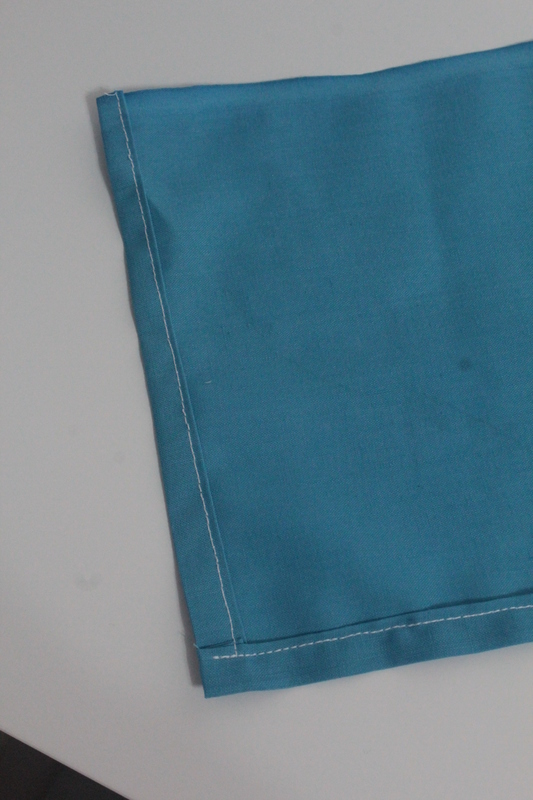 Because I didn’t want this project to pose any issues, I chose the easiest fabric to sew with which is cotton. It all worked super smooth and fast I can’t wait to find a couple more hours in my busy schedule to make a replica of this ruffled wrap skirt for my mini me! Measure your waist one and a half times. This means start measuring from one side of your waist, go around the waist until you return to this point then continue measuring until you reach the opposite side. Multiply these measurement with 1.5 to find the width of your skirt. The ruffle will be as wide as you like (mine was 8″) and long as the skirt width multiplied by at least 2. 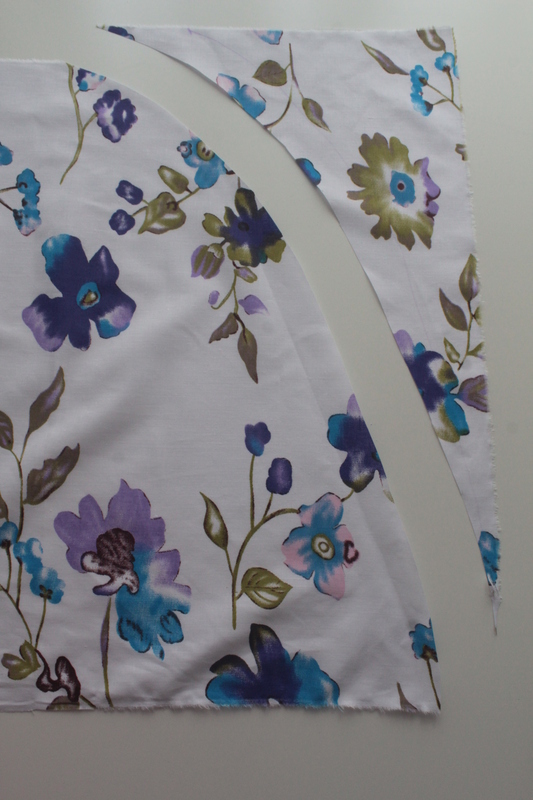 For the skirt, cut a rectangle from your main fabric, using the skirt width and length measurements. Cut a long strip from the contrast fabric using the ruffle measurements. 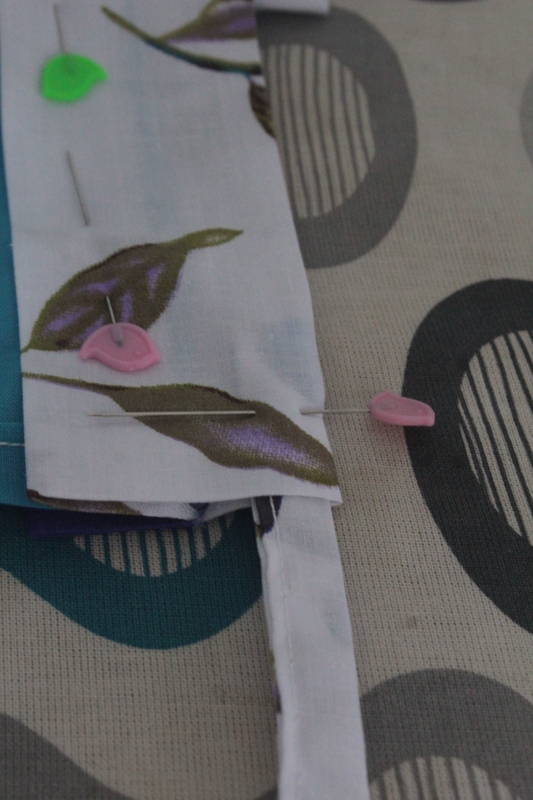 Gather the skirt with pins in the waist area, wrap the skirt on a dress form. Cut and shape the bottom into a round shape on both ends. Sew a rolled or a narrow hem on the bottom and the sides of your ruffle strip. Ruffle the raw edge using a ruffling foot or this method. Gather so the ruffle matches the hem of the skirt. 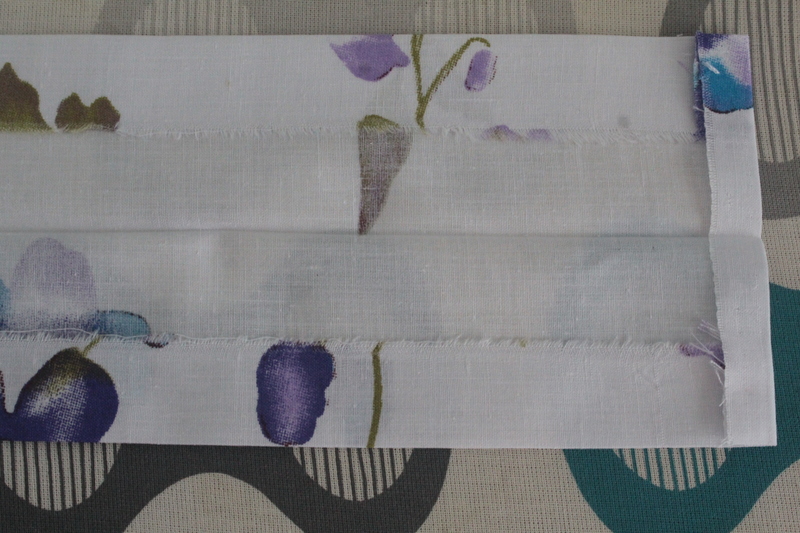 Take the strip for your waistband and fold it in half then press well with the iron on steam. Working with one tie at a time fold the tie strip in half. Fold each half in until the raw edge meats the first fold and press well. Close the fold and press well. 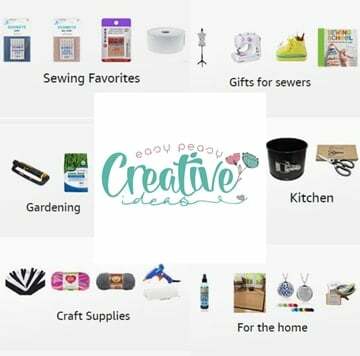 Sew the open side using a 1/8″ allowance. Tie one end of the tie into a knot. With the skirt right side out and the ruffle strip wrong side out, plus ruffled edge down, match the ruffled edge with the skirt hem. 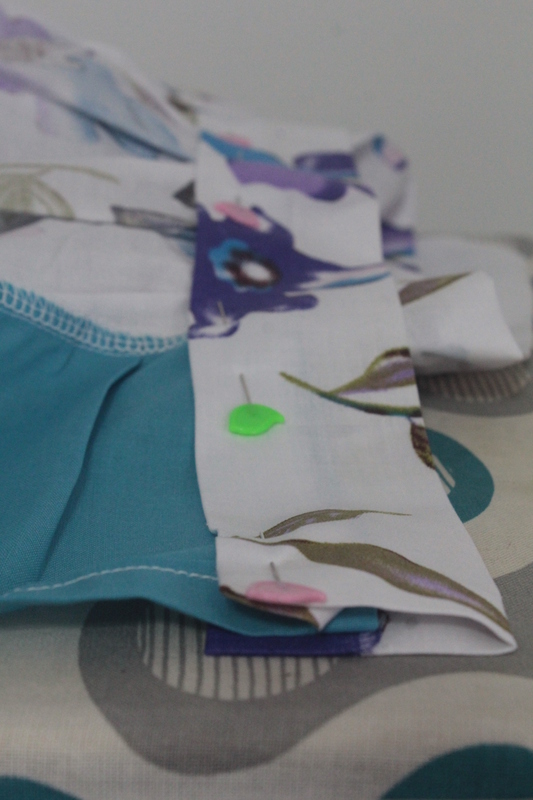 Pin and sew the ruffle onto the skirt then serge or finish the seam with a zig zag stitch. Working on the skirt is pretty simple and quick. You just need to gather the top of the skirt using a ruffling foot or the mentioned method above. 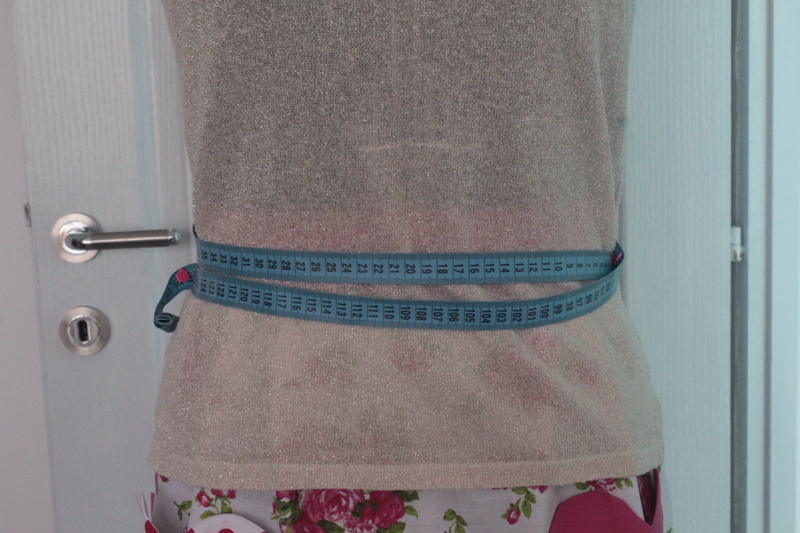 The gathered top should match the waistband. Take into consideration the end of the ruffle which will go inside the waistband too. 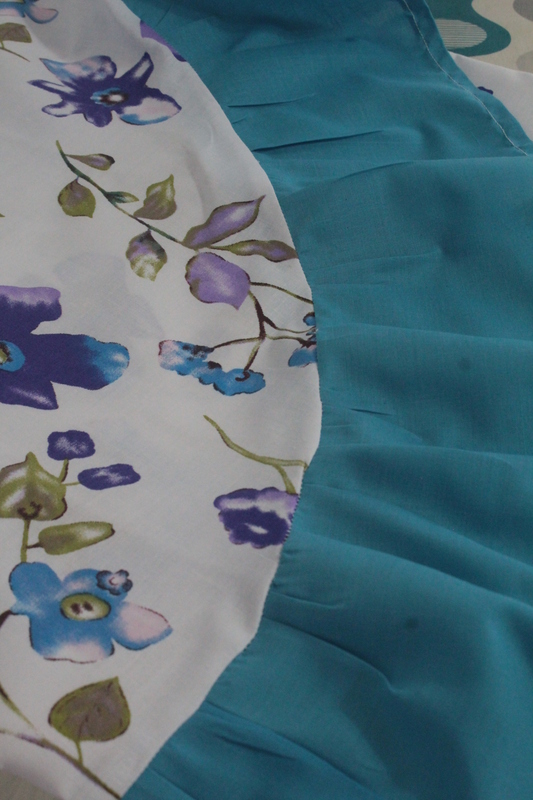 Insert the ruffled top of the skirt inside the waistband about 1/2″ and pin. 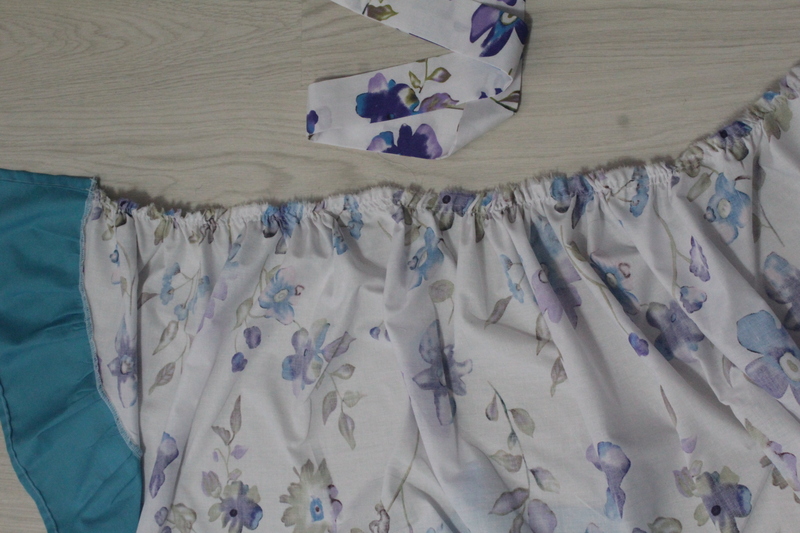 The end of the ruffled hem of the skirt will go inside the waistband too. 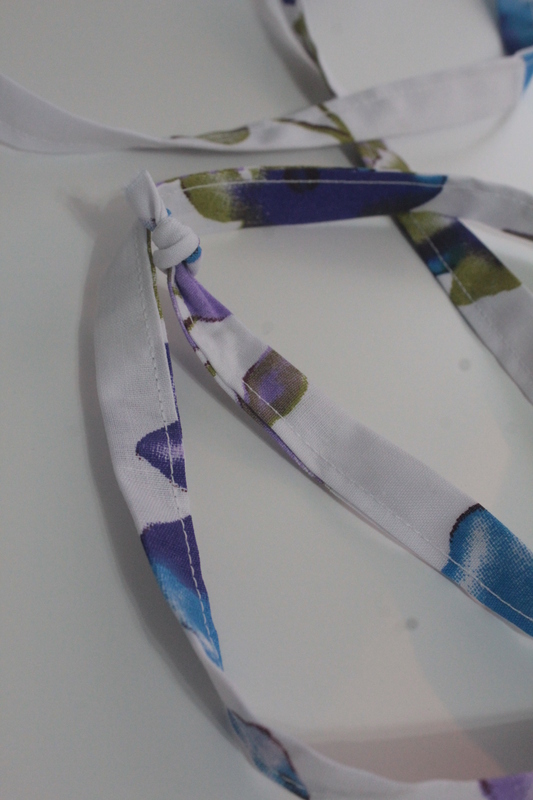 Leave the sides of the waistband open to insert the ties (each tie into its respective end) then pin the waistband ends. Insert the raw end of each tie, not the knotted end. Sew the waistband starting on one end and finishing at the opposite end, pivoting at corners. 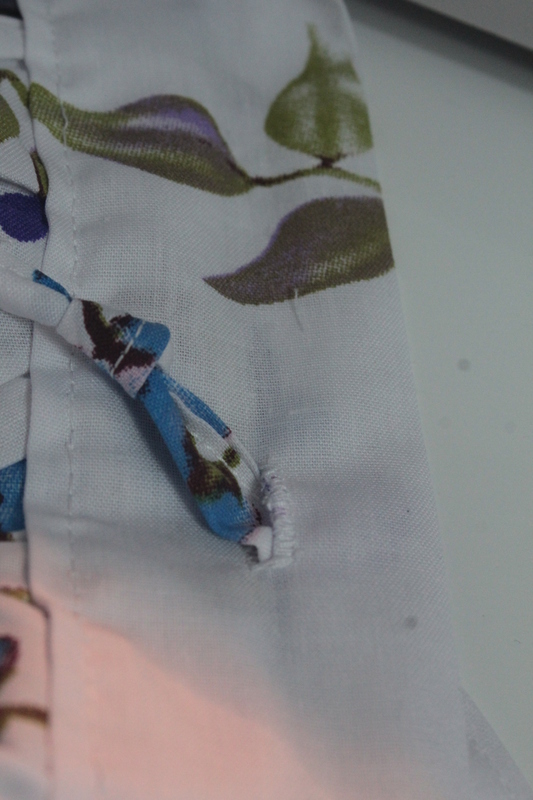 Sew a buttonhole onto the waistband, on one side (check out this tutorial if you don’t know how to make a buttonhole with your machine). This is for the ties to go through when wrapping the skirt around your body. 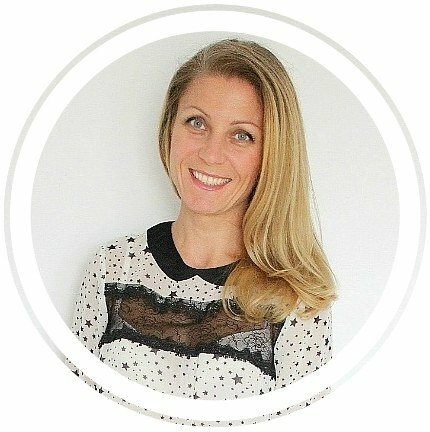 And that’s pretty much it, your lovely ruffled wrap skirt is ready! If you liked this tutorial, please let me know in the comments below and don’t forget to rate it! Thanks!